Heavy duty rubber tracks and an overall width of 31 inches allows operators to pass through garden gates, climb steep slopes, and work in the tightest and roughest of worksites. The BP602 allows you to work with ease in wet and slippery jobsites, uneven, sloped ground, or sand and gravel. 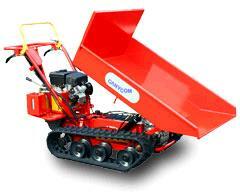 Optional loading decks include a steel dump bucket or a steel dump box with adjustable sides. 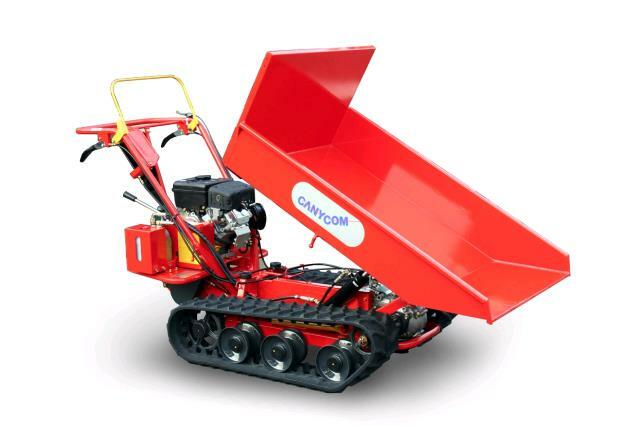 * Please call us with any questions about our wheelbarrow dump sm track rentals in Bellevue WA, North Bend WA, Renton WA, and the Seattle Metro Area.